We live, move and work within invisible seas of energy called quantum fields. These fields are the substance of our universe at the most fundamental level that scientists have yet been able to perceive and understand – a level more detailed than that of protons, neutrons and electrons. In our staff workshop at the start of last year, we focused on the amazing Higgs boson particle, relating how our thoughts could influence thinking patterns through the “mass” we allocate to any particular thought. This can have a profound impact on how we view life and everything it holds. This year we concentrated on our influence – how our energy “fields”, or emotions, affect us personally and those around us, in a similar way to how quantum fields operate. At the level of quantum fields, all particles are excited states of the underlying fields of energy. Every aspect of the field, if energetic enough, continually affects every other aspect. And the power to observe – or be conscious of – the field, affects the way it behaves. As people, we too have an underlying quantum field, which is the origin of our emotions and the way we present ourselves to the world. When we are confronted with everyday interactions, these interact with our own quantum field, as energy is deposited into it. We react in the form of a “emotional particle” to balance the books. This reaction has the potential to influence others, either for the better or worse. However, once we have become aware of an emotion, we have a choice regarding how to react to it. This reaction will affect the way we influence others and how they perceive us. “We all know how when someone enters a room they change the dynamic in it, even if they remain silent,” Bertus says. “We are all continually influencing one another, even when we are unaware of it, through our body language, our facial expressions, the way we listen, and the way we talk. This is also why, in a big crowd, we can lose our identity. We have the ability to synchronise with the people next to us. We asked some of our team members to describe what they had gained from the workshop. Our financial manager Elzaan Olivier initially asked her husband, a science teacher, to explain. “I learnt that energy can be transferred from one object to another without being destroyed or lost, and that electrons that gains energy are also ‘excited’ to a higher energy level, giving the atom as a whole more energy,” she said. “Similarly, people with ‘energy, or positivity, can transfer this energy to people around them, contributing to a positive and energetic working environment as well as establishing a positive image of the company in the eyes of clients. They can ‘excite’ colleagues to a higher energy level, which will benefit the whole company. “For me, the most interesting thing is that many articles tell you there are many aspects unanswered, and they are not sure how it all actually happens. In a business, these are the unspoken aspects, the emotions that provide the glue holding everything together. “Being aware that you’re giving off a specific energy field, you can choose to add energy to the system and inspire it, rather than destroy it. Everything you do, is about adding energy,” he said. Chief Financial Officer Marlize Jacobs understood from her research that all of creation consists of an energy web called quantum reality, an energy system in which everything, not only in one area but the entire world, is connected. 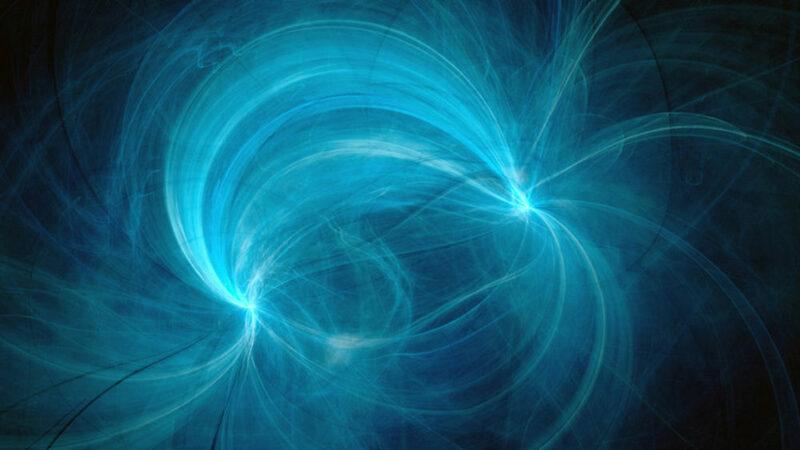 In this quantum reality, all the energy signatures of what we could possibly want or need already exists. “In this invisible framework, we can attract what we want or need, by focussing on those things,” she said. “I have personally experienced this. For example, say your alarm did not go off and you are late for work as you couldn’t find your car keys. Suddenly you find yourself stuck behind a Learner Driver Truck. If you start the day with negative energy about all of this, you tend to attract more negative events. “You could instead pause, take a deep breath, decide that being a bit late is not the end of the world and then change your attitude towards that day, tiny bits at a time. Then you will be able to show up at work with positive energy and have a positive effect on someone else who is having a bad day. We have a choice every day of our lives, how we are going to feel and react that day.